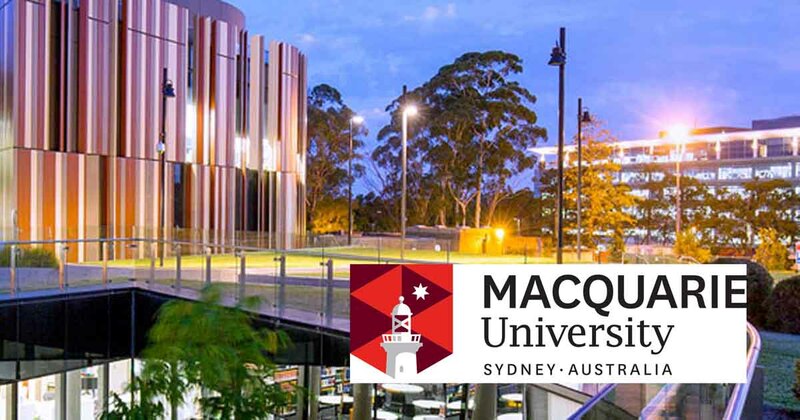 PhD Scholarships in Research Training Program (iRTP) and International Macquarie University Research Excellence Scholarship (iMQRES) at Macquarie University, Australia. The Macquarie University is offering International Research Training Program Scholarships and (iRTP) additional International Macquarie University Research Excellence Scholarship (iMQRES) in Australia. The Macquarie University Research Excellence Scholarship (MQRES) scheme is a Doctoral (PhD) scholarship program that aims to support exceptional research students enrolled in research priority areas aligned with the University’s Strategic Research Framework 2015 to 2024 World – Leading Research with World – Changing Impact, as well as the broaderUniversity. Scholarships are awarded to support exceptional research students enrolled in research priority areas aligned with the University’s Strategic Research Framework 2015 to 2024 World – Leading Research with World – Changing Impact, as well as the broader University. Scholarship Benefits: All successful iRTP applicants for a PhD will receive 3 years of tuition fee coverage and a travel allowance (applied to the OPAL travel card). Successful MPhil candidates receive funding for 2 years. Additionally, successful iRTP applicants will receive a stipend (living allowance), currently valued at $27,082 pa, tax exempt (2018 rate). Applicants applying for admission to PhD, who are (counter) offered entry to MRes Year 2 with a provisional 3-year PhD and who rank competitively for scholarship, may be offered a scholarship to cover their MRes Year 2 program. The fully internally funded iMQRES, offers the same stipend plus tuition fees for up to 3 years for students enrolling in 2019. Are citizens of countries other than Australian/New Zealand, and not Australian Permanent Residents. Will undertake a Masters of Philosophy or Doctorate in 2019. Scholarship holders must reside in Sydney, Australia during their award tenure, unless on approved overseas research leave. Have already completed a higher degree in research at the same level or at a higher level than the proposed candidature. Provide false or misleading information to the University. Where there is reason to believe this condition has not been upheld, the University reserves the right to reassess the student’s entitlement to the award. Overseas Student Health Cover: Please note that for eligible candidates that have been offered an iRTP or iMQRES scholarship will need to purchase overseas student health cover for the full visa period. Note that overseas student health cover must be purchased upfront at the time of acceptance as per Australian Government requirements. The student visa (subclass 500) requires students to purchase an additional 8 months OSHC after the course end date for research programs. Eligible candidates will have the overseas student health cover fee confirmed at the time of offer. Overseas student health cover fees quoted here are based on 2017 as per Health Provider’s fee schedule: 22 months single policy $1,151 (MRes Year 2) and 45 months single policy $2,633 (PhD). Dual family and Multi-family quotes are available upon request. Neither the iRTP nor the iMQRES nor MRes/PhD ‘bundle’ cover relocation costs, establishment allowances or thesis allowances. Language Requirements: Applicants whose first language is not English are usually required to provide evidence of proficiency in English at the higher level required by the University. Applicants must request their referees to send the Academic Referee Reports directly to hdrschol@mq.edu.au. *Current MQ HDR Candidates and applicants that have previously received a valid Macquarie University letter of offer for. Love to write about entrepreneurship and Technological solution in the World. What Is A Pendulum Reading and How Does It Work?